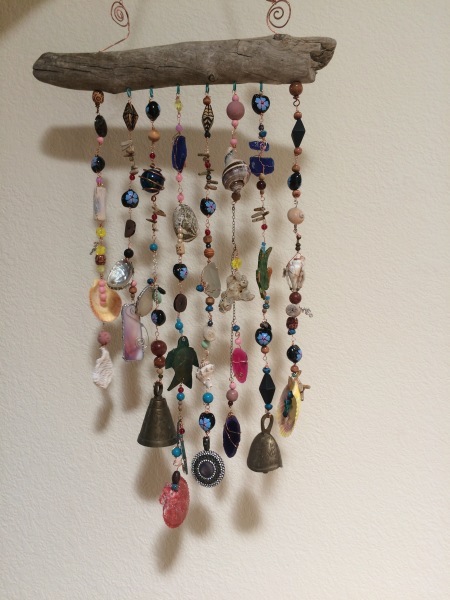 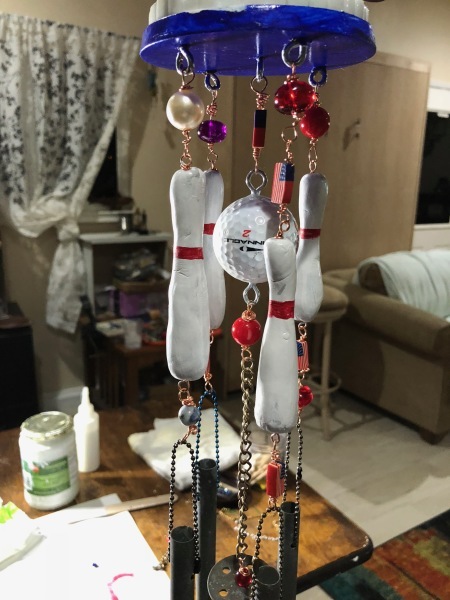 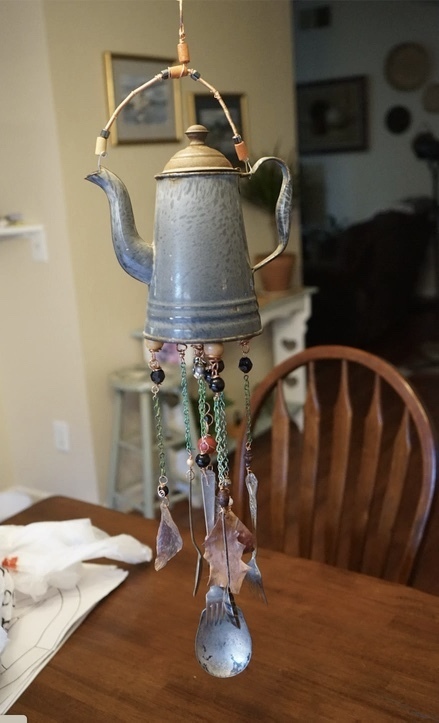 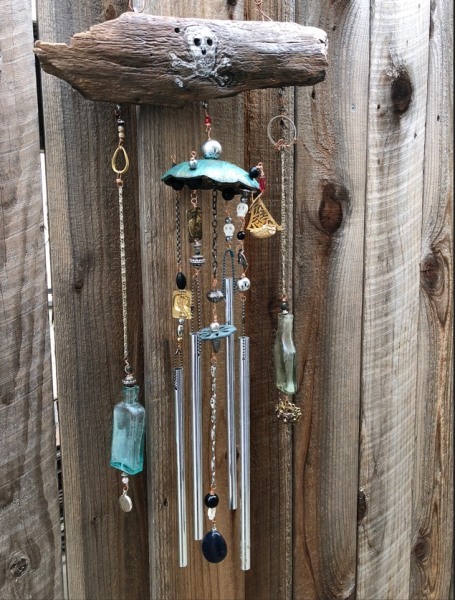 I love to create windchimes. 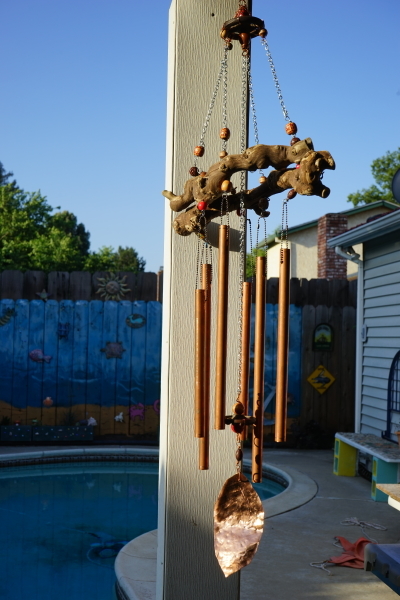 They look lovely and sound mellow. 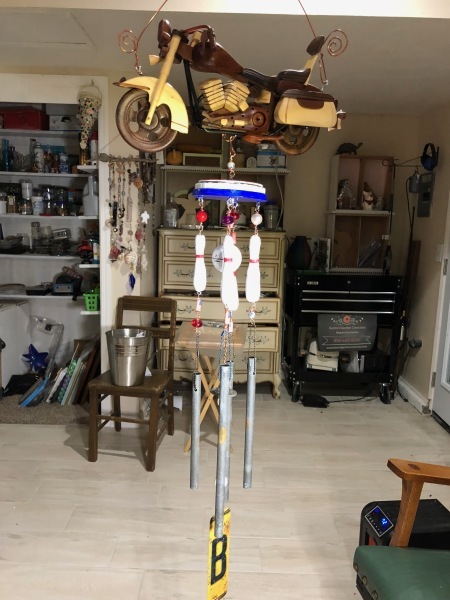 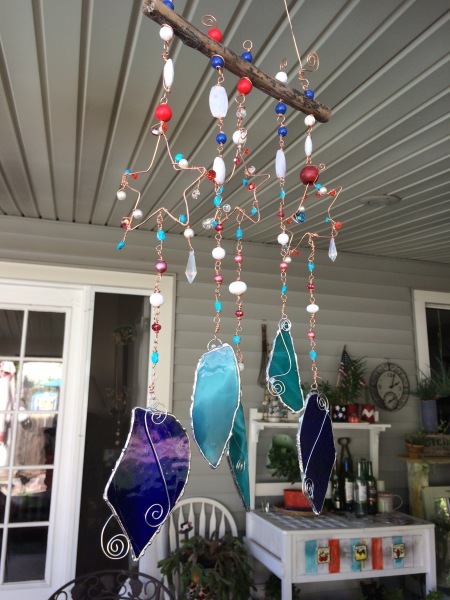 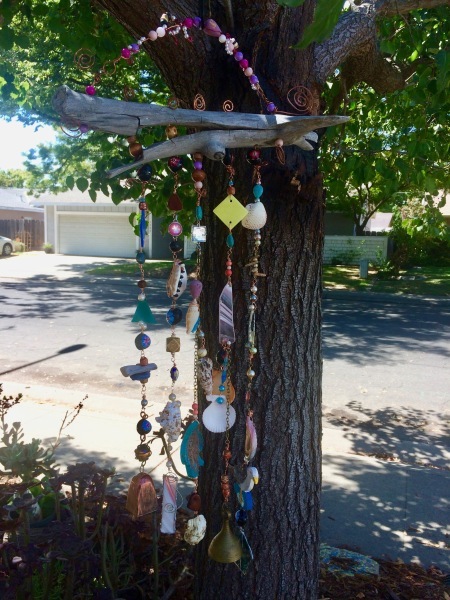 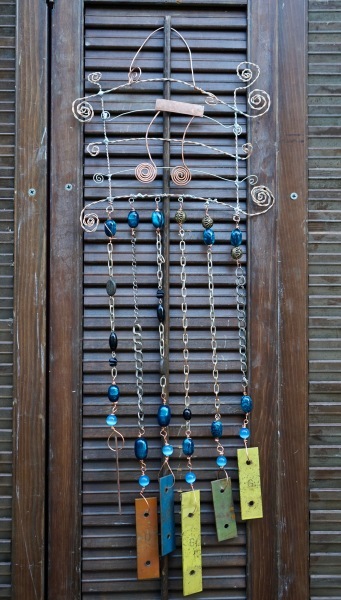 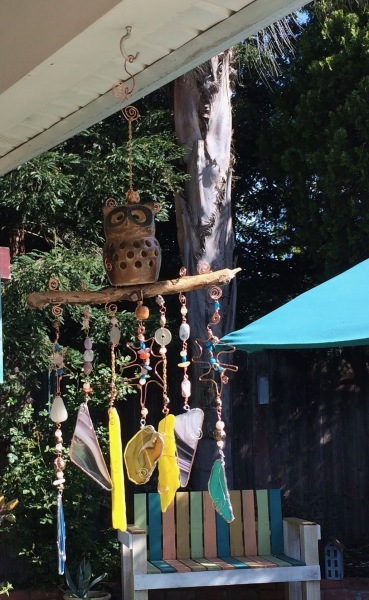 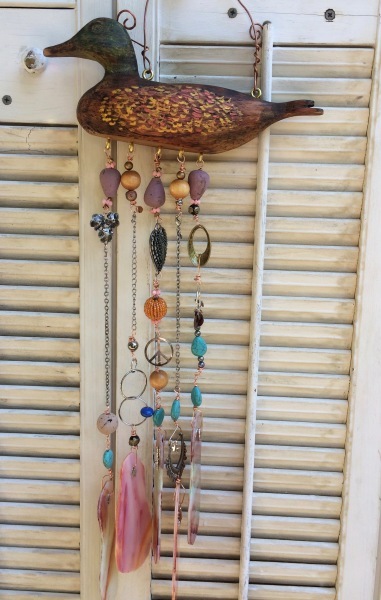 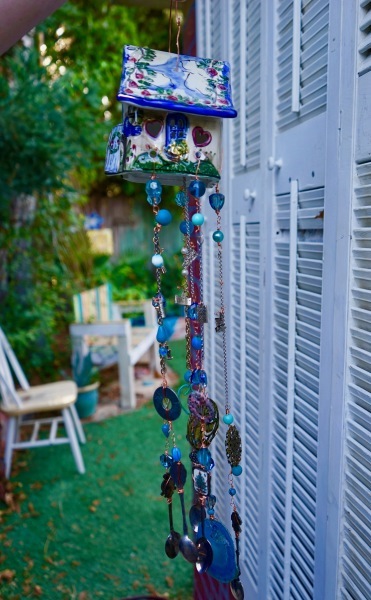 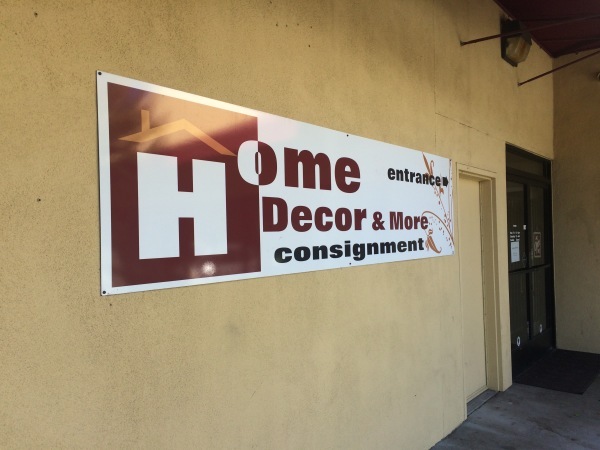 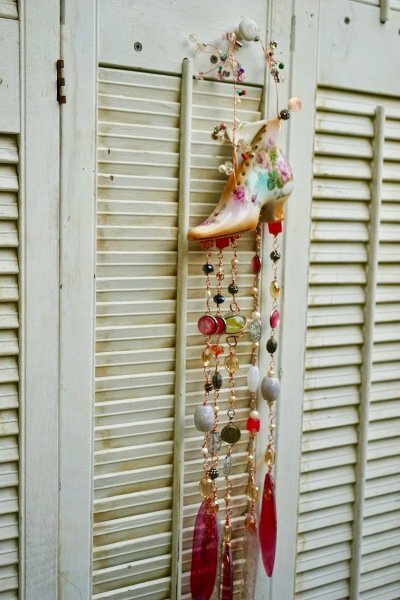 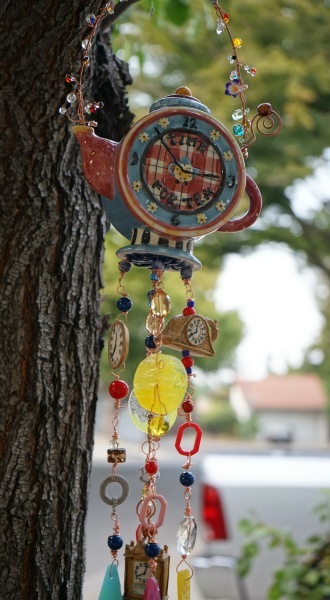 These are not your typical windchimes! 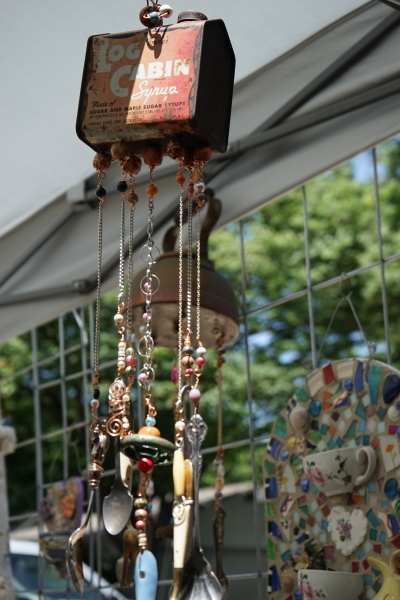 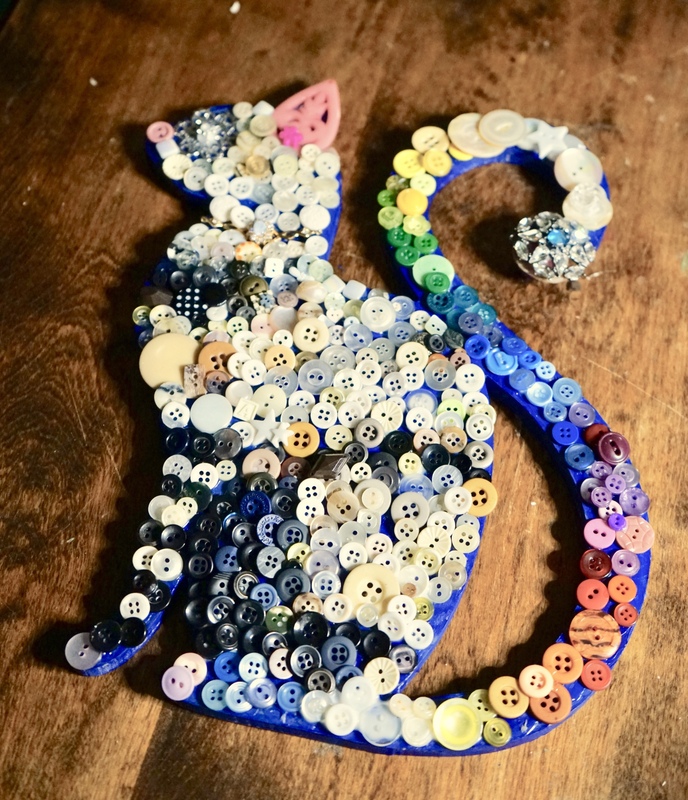 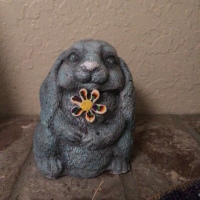 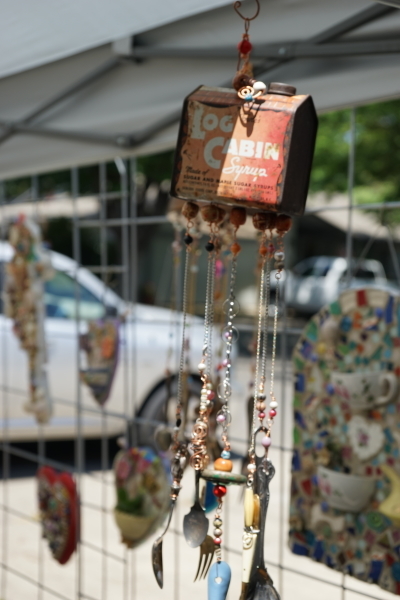 Look for glass, of course, but then add recycled jewelry pieces and hand made beads. 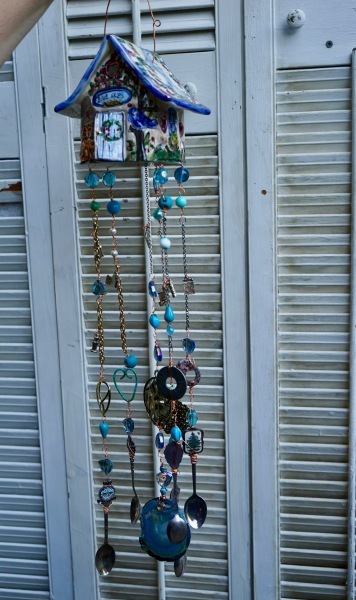 Each is uniqe and definitely one of a kind!